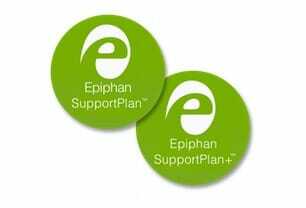 We are pleased to offer you options for extended support and service through Epiphan’s SupportPlan and SupportPlan+. Not sure if you need a support plan? No problem, our plans can be purchased anytime within the first year of ownership (one year from the original ship date). All support plans start from the original product shipment date. Three-year plans add two years of support and warranty. Read our complete Support Plan Agreement for details. * When you buy through our authorized channel partners, you must contact them first for support or service.